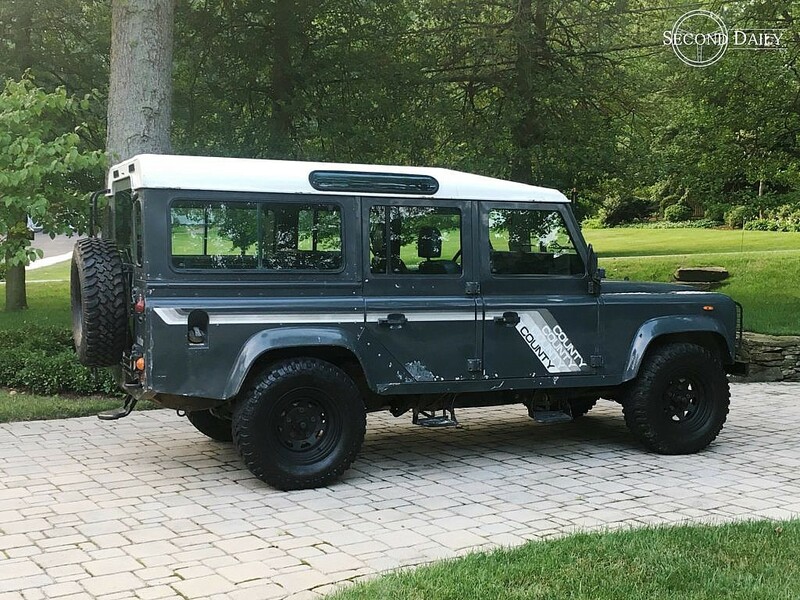 Condition and History: This 1988 Land Rover 110 County Station Wagon (the model referred to as the “Defender” beginning in 1990) is an attractive and rare slate gray left-hand drive example in original, unmolested condition. 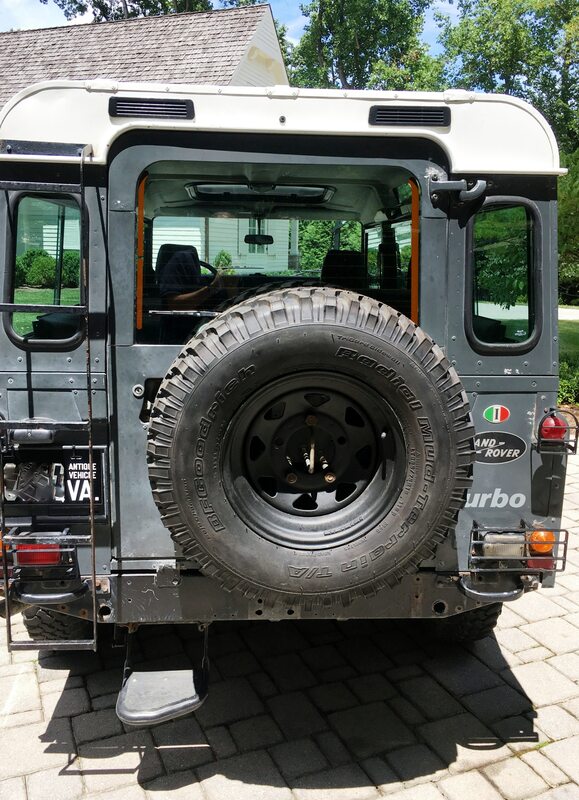 Its only aftermarket features are a flip-up sunroof, off-road wheels wearing BFG AT tires (matched set of 5 including a spare in new condition) and a Safari Snorkel. Legally imported to the US from Italy in May 2017, it has a solid, rust-free chassis and minimal oxidation on the door skins. There is minor, repairable body rust beginning under windscreen on bulkhead and on lower door frames. Driver side floor pan has been replaced. Body shows age-appropriate patina with assorted dings and scrapes but is in overall very good condition. 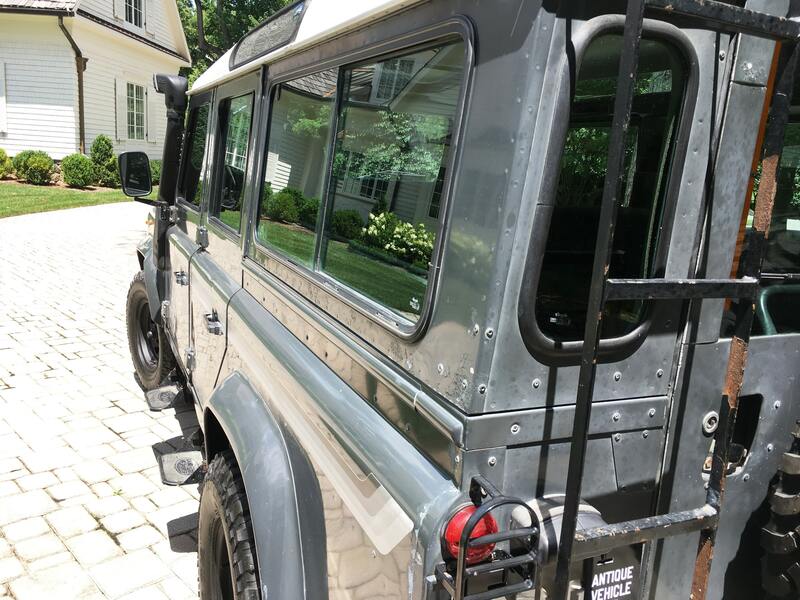 Exterior trim items include black cages over all lights and a rear ladder. Interior is gray tweed cloth seats in very good original condition. 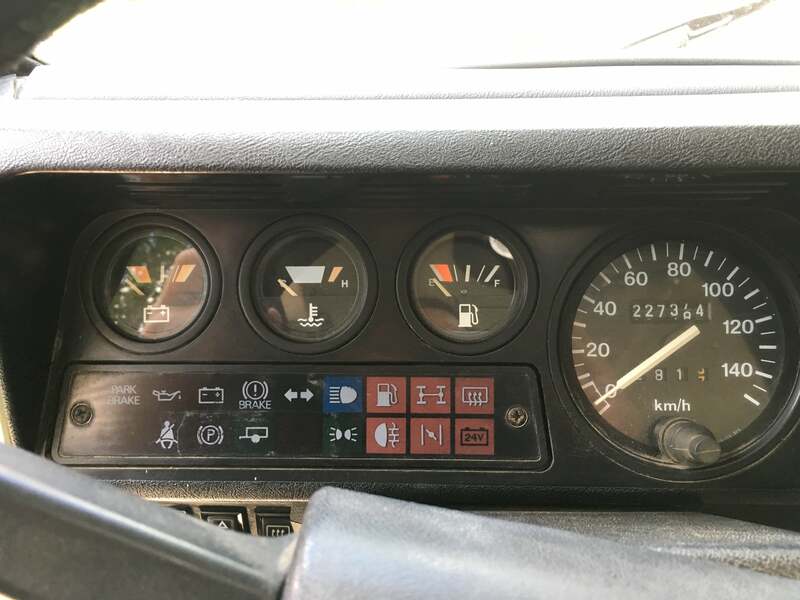 The vehicle has been driven approximately 500km in mixed city and freeway use by its current owner, a collector in Northern Virginia. 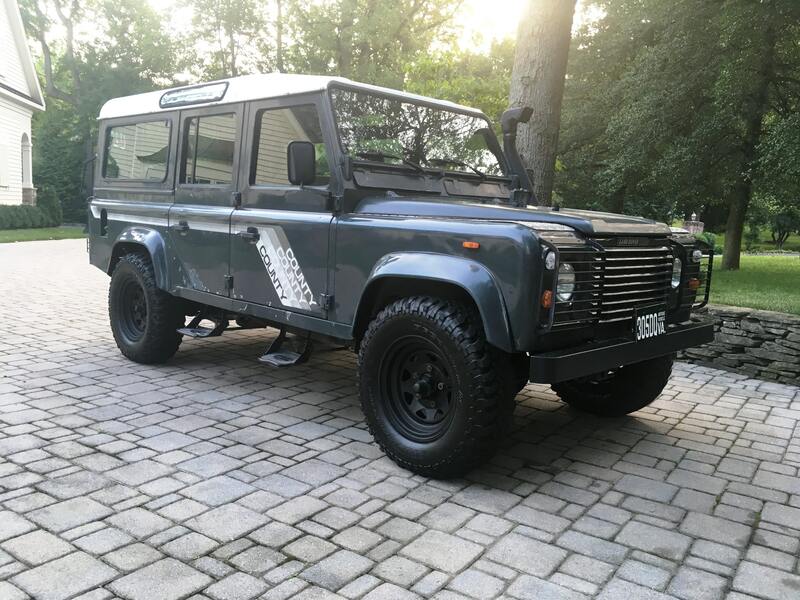 It comes with a clean Virginia title in the seller’s name. Exhaust contains some white/gray smoke on cold start, but starts reliably and emits typical small amount of black exhaust smoke when throttled-up during ordinary driving. Those experienced with this vintage model will recognize these as typical features of the 19J engine. It starts, stops, and drives without issue. 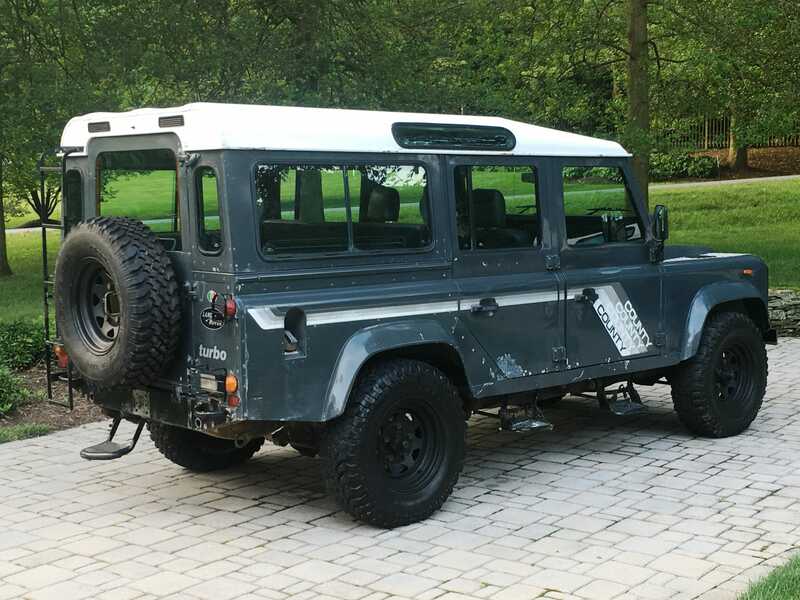 Service History: Vehicle has been inspected and serviced by an independent Land Rover mechanic with important safety and maintenance items addressed. Recent services performed include: New front rotors and pads and new rear drums, parking brake replaced and adjusted, all fluids topped off, and misc. light bulbs replaced. Rust visible on chassis is only surface rust. Previous owner reports that the following services were performed in the past year, but records are unavailable: new bushings for all arms, steering joints, ignition barrel, U-joints, wheel bearings, main light switch, CV / ball joints, rebuilt fuel injection pump, timing belt, starter motor, new clutch. Owner welcomes and encourages in-person inspections as you are buying a 30-year old vehicle. Please contact us at support@seconddaily.com for more information and to schedule an in-person inspection. 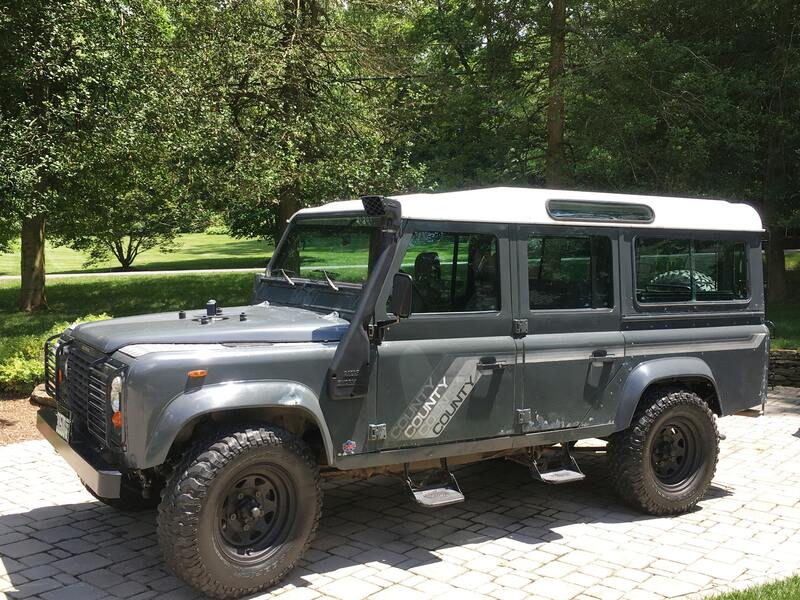 This entry was posted in Sold and tagged 110, Defender, for sale, Land Rover, Range Rover.